How Much Does the 2018 Honda Clarity Cost? How Many MPG Does the 2018 Honda Clarity Get? What’s New for the 2018 Honda Clarity? Convenient charging: You can charge Clarity at home with a standard 120-volt. For even faster charging, you can use a 240-volt charger. The many charging stations appearing all over the country add to your convenient charging options. Less gasoline consumption: You get an all-electric range of 47 miles. As a daily commuter, the Clarity Plug-In might let you completely avoid gasoline usage. You can fill up the gas tank if you are planning a longer trip. Seating for five: Unlike competing four-seaters, the Clarity’s sophisticated interior seats five in comfort, with plenty of leg-, shoulder- and head-room. The cabin boasts eco-friendly materials and ergonomic design. State benefits: Many states provide HOV lane eligibility for quicker commutes, as well as money-saving rebates on car chargers. Tax credits: Federal tax credit programs let you earn a tax credit of up to $7,500. 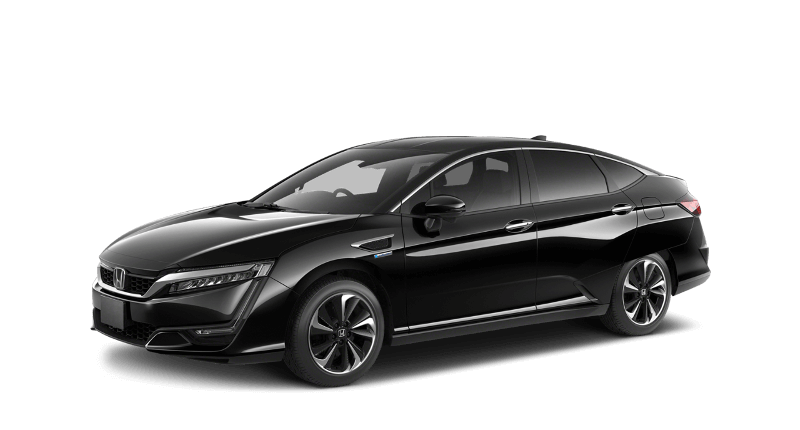 Clarity Plug-In is equipped with a 1.5-liter 4-cylinder gasoline engine and two electric motors, good for 212 horsepower, 331 lb-ft of torque and a total driving range of 340 miles. It lets you choose among four drive modes to let you tailor the car’s performance: Normal, Econ, Sport and HV. You recharge the battery when driving in HV Mode, or when you trigger regenerative braking by lifting your foot off the accelerator or applying the brakes. Clarity Plug-In Hybrid was awarded the 2018 Kelly Blue Book Best Buy Award for electric hybrids. Beyond its fuel-saving powertrain, it is a well-equipped sedan with features like Android Auto/Apple CarPlay integration, Honda Sensing safety suite, variable assisted steering, dual-zone climate control, universal garage door opener, trunk power lock/unlock, leather-wrapped steering wheel, and remote trunk release. We invite you to visit our Honda dealership for a test-drive of the 2018 Clarity Plug-In. You’ll appreciate how our customer service aims to satisfy, so drop by today! * MSRP excluding tax, license, registration, $890.00 destination charge and options. Dealers set own prices. ** Based on 2018 EPA range rating. Use for comparison purposes only. Your range will vary based on how you drive and maintain your vehicle, driving conditions, powertrain condition, and other factors.